Goodall’s of Ireland have announced the winner of their search for the country's Best Scone! 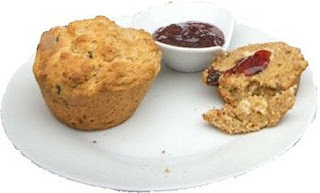 The competition was run to find the best commercially-made scone for sale in restaurants and cafes around Ireland and started from a simple comment on Twitter. 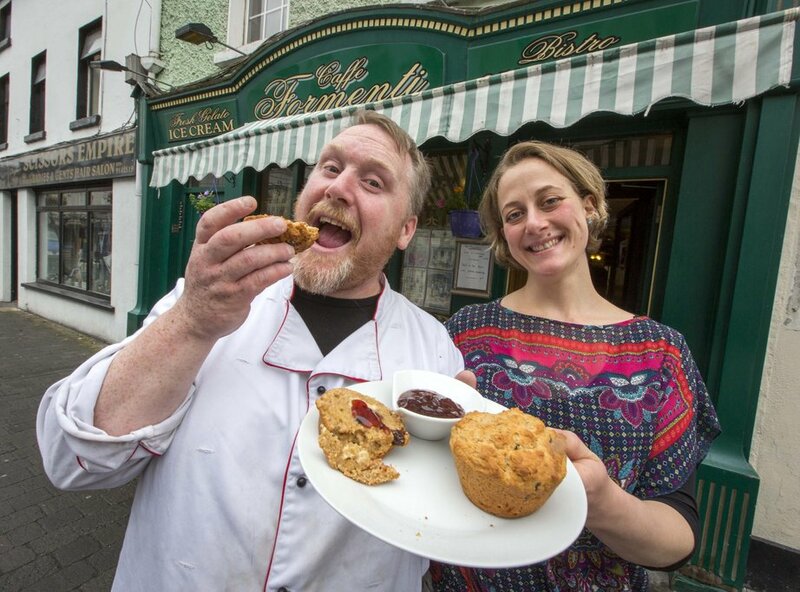 This morning, Carlow’s Café Formenti has been revealed as the winner of a €1,000 prize fund, but more importantly the coveted title of ‘Best Scone of Ireland’! The competition caught the public imagination with #bestscone becoming one of the top trends talked about on Irish Twitter last week. A shortlist was compiled from public nominations cast on Twitter and Facebook and was then voted for on the www.goodalls.ie blog, with almost 10,000 votes being cast from around the country. Café Formenti’s unusual ‘Scruffin’ a cross between a muffin and a scone, encouraged loyal customers and fans to get behind the Carlow based café, and owner Richie Fenner commented on his delight at the victory for the café, “Cafe Formenti, along with being a working cafe where we cater for all tastes in Carlow town, is also a community, where all walks of life come to interact" he said. Four regional winners were also selected from the shortlist of 12 finalists; The Halo Café in Celbridge, Co. Kildare, Keogh’s Café on Trinity Street in Dublin, Tierney’s Costcutter in Ennis, Co. Clare, and The Tuckaway Coffee Shop in Waterford, and each eatery will receive a €500 prize. Speaking on behalf of Goodall’s Gareth Watkins commented, “We wanted to celebrate the best of Irish baking – not the fancy stuff but tasty everyday stuff, that when it’s done well can be fantastic. We all know scones can vary from the mediocre to the truly great and Café Formenti represents the best of modern Irish food”. The Goodall’s brand was first manufactured in Ireland in 1933, but was well known and popular among the Irish people long before that. “Yorkshire Relish” is even mentioned in Ulysses! Nowadays the Goodall’s brand is renowned for its high quality range of herbs, spices, flavourings, colourings, peppers, pastes and seasonings. 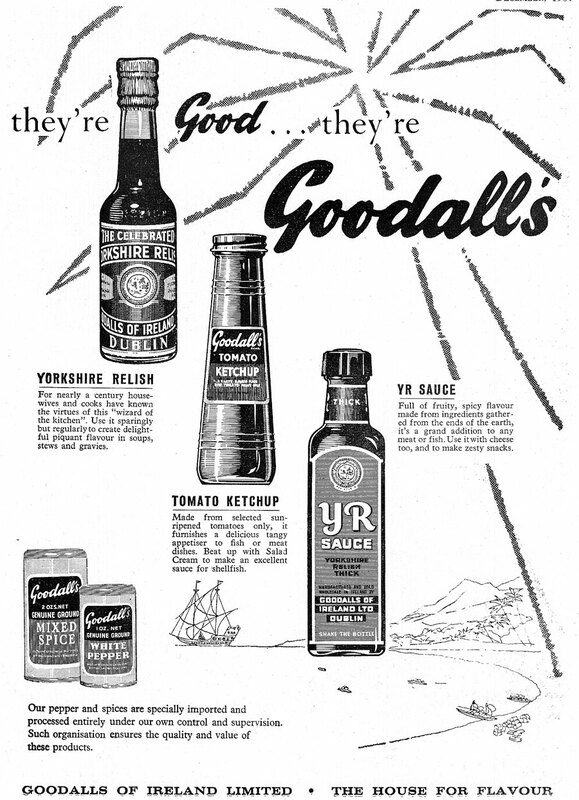 Goodalls have been a household name in Irish kitchens for 80 years! Any bakers wishing to try their hand at making Ireland’s best scone can have a look at www.Goodalls.ie where Goodalls will publish the café’s top tips on scone making . You can join in the great scone debate on Facebook.com/GoodallsIreland or follow the conversation on Twitter.com/GoodallsIreland. A new Donegal Food Strategy was officially launched in Glenveagh Castle by Minister of State for Small Business, John Perry TD, on Monday 23rd July and Donegal chef Gary O'Hanlon was appointed it's Ambassador for Donegal Food. 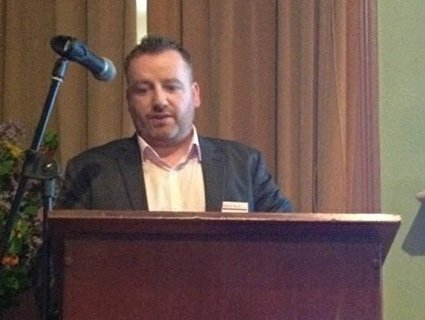 The strategy, commissioned by Donegal County Enterprise Board in conjunction with the other state development agencies, was prepared with input from representatives from all of the sectors within the food industry in County Donegal. A wonderfully diverse assembly of food producers, chefs, butchers, retailers, restaurateurs, food festival organisers and food writers, along with members of the county development committees attended the launch. A fabulous selection of the best of local county food, supplied by some of the Donegal's best (but not yet all well-known) food producers, was on display and also an amazing buffet had been prepared by Michelle Hunter's kitchen at Glenveagh Tea Rooms kitchen for tasting. The Donegal Food Strategy sets outs an ambitious vision for food within Donegal and seeks to make Donegal a county famous for food and recognised as a pioneering region for its approach to fostering and growing new and existing food businesses. Mr Seamus Neely, Chairman of Donegal County Enterprise Board (CEB) and who is also County Manager of Donegal County Council, outlined in his introduction the significant work already achieved over the past two years under the Food Coast brand – in particular the provision of grant aid to 14 food businesses and mentoring to 29 businesses by Donegal CEB. 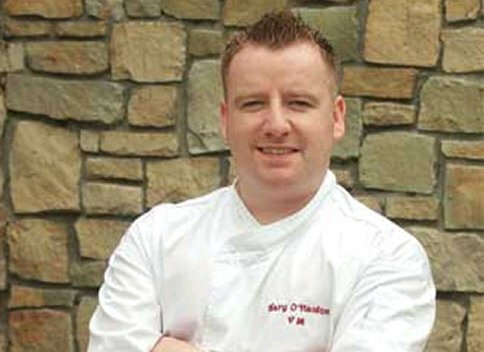 Gary O'Hanlon, Executive Chef at Viewmount House is now filling the role as Food Ambassador for the Donegal Food Strategy and he emphasised the importance and opportunities there are in sourcing and using local quality produce. "It's a great honour for me to be appointed an Ambassador for Food for my home County" said Gary. "Chefs from Donegal are proud of where they're from and proud of what they're utilising." 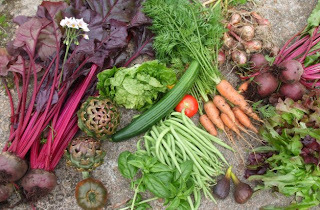 "Nothing much comes out of bad economic times, but thankfully one thing that has come out this is that the whole food culture has been re-born in Ireland and people are starting to grow their own food again". 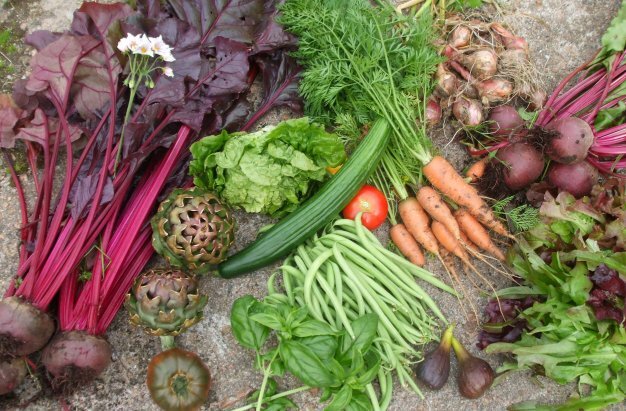 An example of this, Gary said, was how Harry's Bar, in Bridge End Co. Donegal, are now producing so much quality food from their walled garden that they are now looking to open a shop to sell on their produce to the general public. "The demand for quality local products are there" he said. The Donegal Food Strategy identifies 83 key priority actions to be delivered on over the next 5 years. A critical priority identified in the Donegal Food Strategy report is the creation of a number of new food producer start-ups over the five year period. Research during the preparation of the report identified that there was a need for additional new food start-ups in the county which could give the county a better profile, both at national and international level and that these new food manufacturing businesses should be assisted "to fill a gap in the provision of products at local, regional, national and international level". The Donegal Food Strategy identifies a number of supporting actions to enable this - such as the establishment of a Big Brother Network using executives from "larger or more established food producers in the county, our local experienced chefs and our food retailers as mentors for new food manufacturing start-ups, the provision of a dedicated one-stop shop for food within the existing CEB website which would act as a resource for information on all areas of food production and the provision of dedicated support to any new start-up". Michael Tunney, CEO Donegal CEB, said that “the overall objective of our strategy is to make Donegal a location famous for food. In order for us to do this we need the collective buy-in from all our communities, as well as many of our food businesses as possible and the pro-active engagement of our enterprise development agencies in the delivery of this strategy. We hope that through achieving the vision that every food business and those employed in them will have enhanced opportunities for further development, greater sustainability and increased employment opportunities." Mr Tunney continued, "For the strategy to be implemented we need all of those involved to keep the focus on the broader common vision that requires cooperation and commitment, patience and perseverance. Given that these are some of the qualities which define us as a county and as a people, we are convinced that we can and will achieve our stated objectives”. Food in Ireland has taken on a much higher profile role in recent years and Irish food and drinks exports rose by 12% during 2011 reaching an all-time high figure of €8.8 billion. Food and drinks exports increased at 3 times the rate of total exports during that period. Food and drinks exports have risen by 25% during 2010 and 2011. Donegal food producers (and in reality all Irish food producers) can aim to be part of this new growth, by working with retailers and restaurant purchasers to establish a network of local suppliers to share the word, so that locally grown Irish food can become a demanded international product. In the context of tourism, tourists spent close to €2 billion on food and drink in Ireland in 2009. Overseas visitors account for 60% of the total spending an estimated €1.2 billion on food and drink. The seafood industry, of which Donegal is a key part, contributes about €700 million annually to the national economy and employs 11,000 people nationally. Approximately €340 million of this product is sold on the domestic market with the remaining in export. "Great Taste" is considered the biggest independent benchmarking scheme for local, regional and speciality foods in Britain and has been running since 1994. Over 350 professional foodies are brought together each year to take part in 45 days of judging, deciding which foods deserve one-star, two-star or the ultimate three-star awards. 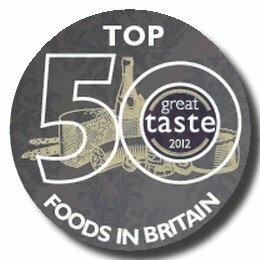 The Top 50 Foods is a definitive list of the greatest food and drink available from fine food retailers across the UK and Ireland available in Britain. Here are 7 Irish food producers that are included in the Great Taste Top 50 Foods. Well done! A butter with bone marrow, blended with a mix of sea salt and cracked black pepper. Dry-aged beef (heels of silverside) is slow cooked with pork trotters for 14 hours, then shredded, with all fat removed. Natural juices are added back before pressing. Shoulder pork is dry cured, slow cooked with pork trotters for 12 hours, then shredded, with all the fat removed. Natural juices are added back before pressing. A reduced-salt smoked rack of bacon. Rhubarb and ginger jam, handmade made using rhubarb, sugar and ginger. Cooked in small batches using the traditional ‘open pan’ method and hand-stirred using a wooden spoon. 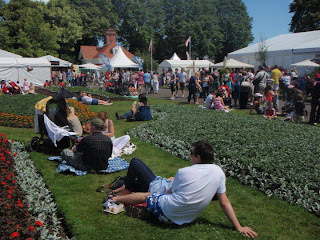 The Irish Examiner Food Festival, previously known as TasteFest will be held in Fitzgerald’s Park, Cork City, from Thursday July 19th until Sunday July 22nd 2012. The organisers say "It guarantees to create a fun atmosphere around the city and bring the people of Cork together to celebrate everything to do about Cork food." It will give the restaurants of Cork an opportunity to show off their delicious menus and culinary skills to a larger crowd and also to new customers. There are a host of Food Demonstrations all weekend. As the South East of Ireland is considered the 'birthplace' of the Irish Artisan Food movement some of the food demos will be hosted by some of the biggest names in Irish Food scene today like Darina Allen, Rachel Allen, Bryan McCarthy, Paolo Tullio and many more! We have 2 Tickets to the Festival on offer to a lucky winner! and leave a comment with a way to contact you here on this post. The Draw will be tomorrow, Wednesday, at 2pm and the tickets will be posted out to you then. The winner is Michelle Casey. After finishing my last post on How much Do You Tip in a Restaurant? I was having a further look into that website I mentioned www.discountcodes.ie. I'd come across it while I was writing and thought it was a good idea for a website that worked with businesses to generate new customers. It offers online discount codes which you use to get special deals and cheaper goods and services and has a specific Irish Food & Beverage section! 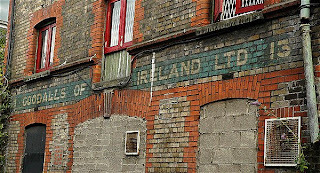 But when I later looked closer into the website I couldn't find any Irish Food! (I know, Note to self - check your sources properly in the first place). The only name in the food and beverage section that is Irish is SuperQuinn and the only other one I recognise as having premises here in Ireland is Tesco! They seem to be a well-established business and have hundreds of UK shops on their books but I think you should at least contact every Irish Food producer you can find and see if they want to be part of the process, before you offer a "Food & Beverage" section on an Irish Dot .IE website. People are being very careful about their money these days but we still like our treats. If you can find a way to have what you want, but pay less then you'll jump at the chance. There are great opportunities in sites like this, for the big name food brands, small producers and all sorts of restaurants, to gain more online-business by offering the discounts if your product is bought from your online shop. Less overheads, less staff, less rates, less lots of things! Almost all Irish restaurants now offer Vouchers for customers - if you don't you should. Many of them now offer an online version of their voucher - it's part of your product, it makes good business sense, it's cash in the bank. 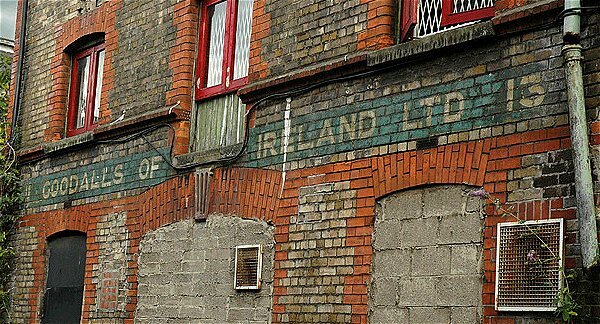 I've spent an hour or so searching the Internet and can't find anything offering a similar Irish service. So, to end. If you're an Irish Food producer or restaurant you could call them up and find out what it costs or if your an Irish Techie that's looking for a new business model maybe you could start your own version! 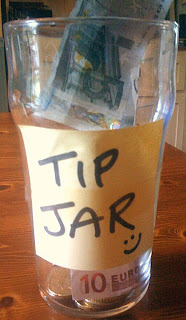 While out for a bite to eat recently at one of our local restaurants, The Harbour Restaurant, the topic of "Tipping" for service came up and a stirring conversation ensued! c) a tip for good service be paid to the server directly. No one at our table thought a tip shouldn't be paid but a general consensus was that people here got carried away during the boom years and staff gladly accepted the generous tips proffered. Some still expect the same level of remuneration for their services. But things here in Ireland have changed. 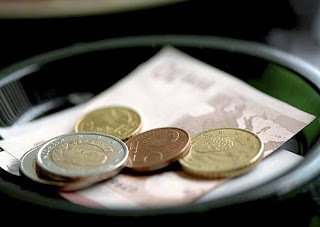 Traditionally it was not a common practice in Ireland to tip in restaurants, until the mid 1970's when returning American-emigrated family members encouraged the practice. Tipping for service in restaurants in the rest of Europe also has only become common in recent years. 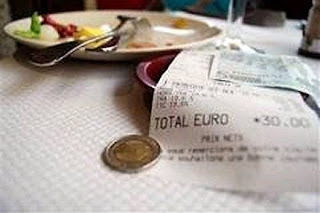 "Service Charges" in restaurants, which may be discretionary or mandatory, are often written on the menu and this is accepted as the norm although it is perfectly legal not to pay this if you feel the service was not up to standard. In all of the kitchens that I ran over the years, I've always insisted that the kitchen staff received an equal share of the tips, as wages for young staff in the kitchen are generally not great and often the front-of-house staff are on a higher rate! (It is quite amazing how some restaurants will employ waiting-staff with no experience and pay them a better rate than some poor 3rd or 4th-year commis chef who has also been to college for two years). The whole argument on tips takes on a slant in light of New Revenue laws which state "Where the tips are routed through the employer, PAYE/PRSI must be applied to the amount paid (including employer PRSI). If tips are received directly from patrons, there is no obligation on the employer to operate PAYE/PRSI on the amounts received. 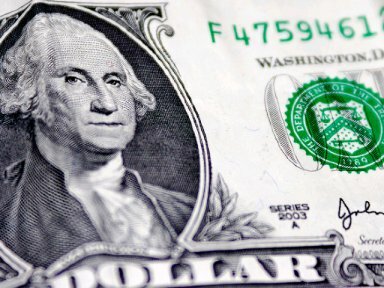 (The employees are obliged to declare the tips received in their annual return of income). In the case of credit card tips the employer must operate PAYE/PRSI on the amounts of the tips received." So it begs the question "does giving a bigger tip end up being a smaller thank-you to the staff involved?" People in Ireland, these days, are generally more aware of their financial spend on treats and this has given rise to discount coupons, loyalty cards and websites such as www.discountcodes.ie where food businesses offer substantial discounts to encourage new customers. Many restaurants have removed the obligatory "Service Charge of 10% will be added to your Bill" and instead have replaced it with a "Tip Jar" on the pay-station. All this, to hold on to their regulars, gain new customers and give as much value as they can afford to give. Our menu in The Harbour stated: "No Service Charge Included - We believe that our customers should have the option to reward good service personally". I think this is the right way to put it! We ended up paying a tip of 10% of the total bill, which I would normally do if the meal was good and the service was up to the same standard. An often controversial topic, "Leaving a Tip" is a bigger debate than I am ready for here at the moment, but out of curiosity I have put together a quick POLL to find out how much Irish people are today prepared to pay, as a gratuity to the staff that serve you in our restaurants. Please Click your choice of Answer below or leave your own. Leave a Comment if you wish! 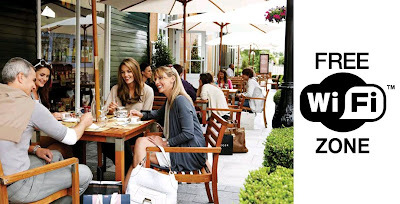 A Month of Good Food Events in Kildare Village! Over the next month, from 5th - 29th July 2012, the Chic Summer Festival will continue at Kildare Village. 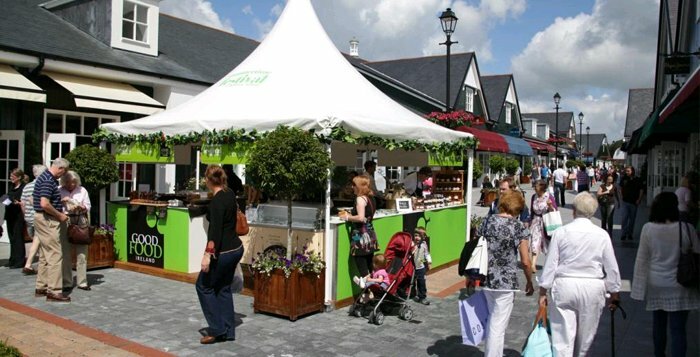 There are loads of events taking place all over the Village and every weekend for the whole of the month, the organisers have put together a special festival Food Village in conjunction with the local members of Good Food Ireland. 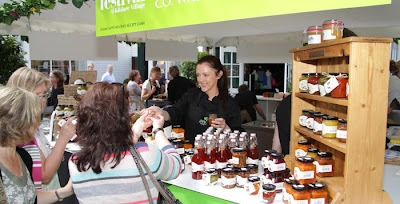 Each weekend a different selection of the over 400 Good Food Ireland members, which includes B&Bs and guesthouses, 5-star hotels, restaurants, pubs, cafés, cookery schools, food shops, food producers and farmers’ markets, will set out their stalls on the Village promenade. 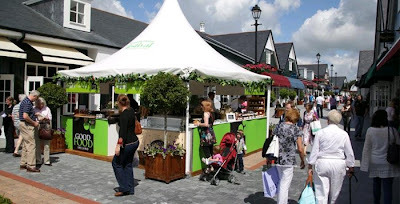 Complimentary wireless internet connection is available throughout Kildare Village and this year, the organisers are especially excited for the Food producers and restaurants due to the explosion of the use of smart phones taking loads of Foodie Photos! So take your snaps and get them online! The Food Village will be open every Saturday & Sunday for the month of July from 12 noon - 5pm. You'll be able to taste and buy some of the best artisan Irish food products available in the country and also meet up with the producers of all this wonderful food too! You'll even see some famous faces from the TV helping out on the food stalls over the weekend! wee 30 second video to showcase the Festival so Click on it to play the film. You can experience the Good Food Ireland Pop Up at the Chic Summer Festival at Kildare Village Every Weekend 7th July - 19th August 2012. Dishes on offer will range from Prime Hereford Steak Ciabatta, Artisan Sausages, and Warm Bacon Blaas as well as lots more sumptuous treats from some of Ireland's greatest food producers! A good trip out for all the family! This is my first "Sponsored Post". Following the release of the FSAI report on Calories on Menus last week and the probability that it will become an industry standard, in time, many restaurants are wondering how they can implement this action. 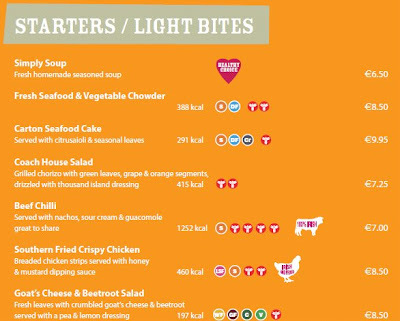 The report recommends the introduction of a calorie menu labelling scheme for food service businesses. The report also recommends that the scheme should be operated on a voluntary basis initially to allow a period of time for the development of a system, including technical tools, to support the food service sector. 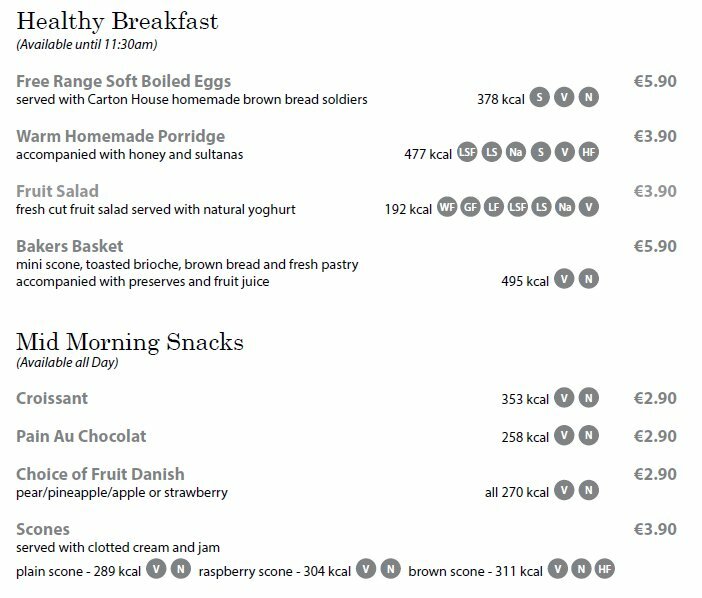 One Hotel Group in Ireland that contacted me to say they are already offering a comprehensive nutritional analysis of each dish on their menus is Carton House based in Maynooth, Co. Kildare. 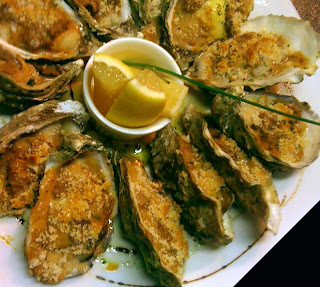 Their restaurant's menus include allergen & lifestyle symbols with calorie counting and provide an online nutritional breakdown on their website for guests to check out meal options in advance. The company have used a system devised by HealthPro who were featured on RTE's 'Operation Transformation' TV program. The Dublin-based nutrition & exercise company work along side the head chef or other appointed person to provide an establishment with a comprehensive nutritional analysis of each dish on the menu. All Food items have had their calorific value calculated based on their portion size and are marked using trademarked Allergen & Lifestyle Symbols. Browns Bar and Café by Carton House is housed on the lower ground level of Brown Thomas in Grafton Street. "Our Menu recognises the many varied dietary requirements and lifestyle choices that exist today" said David Webster, General Manager for Carton House. "They include a variety of dishes from healthy breakfasts and mid-morning snacks to afternoon tea and desserts all clearly marked with content information to cater for all allergen, lifestyle and dietary requirements." The Coach House Restaurant Menu contains traditional dishes that have wheat free, dairy free, vegan, and gluten free options available, all clearly marked. They pride themselves on using local and Irish produce. "The introduction of new healthier options on the kids menus including Baked Salmon and Roast Chicken will take the stress and hard work out of dining out as a family" said Mr Webster. 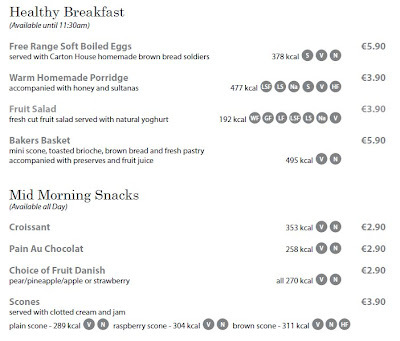 See www.cartonhouse.com for more & www.HealthPro.ie for more information on Menu Analysis.